The following is a guest post written by Amanda Williams, booking and marketing coordinator at the Tacoma Dome in Tacoma, Washington. The steady stream of musical talent – acts like Tim McGraw & Faith Hill, Lady Gaga, Ed Sheeran and Bruno Mars this year alone – are usually the big draws to the Tacoma Dome. For one weekend in April, however, it will be the instrument that takes center stage. 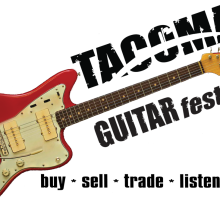 If you’re a guitar player or music enthusiast, you shouldn’t miss the third annual Tacoma Guitar Festival at the Tacoma Dome, April 29-30. This weekend-long event gives you the chance to check out a variety of vendor booths, seminars and live performances by legendary guitarists. 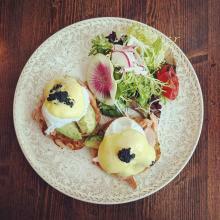 There’s something for everyone, all under one roof. The Tacoma Guitar Festival will feature more than 150 exhibit-style booths presented by some of the industry’s top vendors including Yamaha, Fender, Paul Reed Smith Guitars, Ted Brown Music and more. The event is a music-lover’s paradise with plenty of opportunities to buy, sell or trade new and vintage guitars, amps, pedals, mandolins, ukuleles, vinyl records and guitar accessories. Attendees are encouraged to test various equipment and learn new techniques from experts. 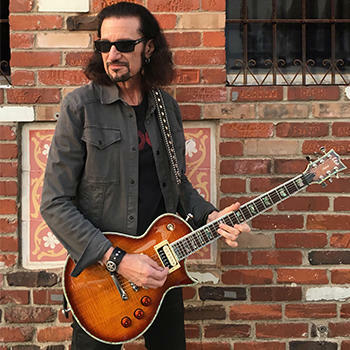 Bruce Kulick, KISS guitarist from 1984 to 1996 will perform at the Tacoma Dome&apos;s Tacoma Guitar Festival on Sunday, April 30, 2017. Iconic guitar players will perform on the Tacoma Dome stage including former member of KISS Bruce Kulick, Kaki King and former contestant on The Voice and South Sound native Ethan Tucker. Additional artists include Adrian Galysh, Larry Mitchell, Andy Timmons, Brian Ewald and Carl Tosten. Each musician brings a different style and energy to the stage. The unique setting allows attendees to get up close to experience the live music. You can find a complete weekend line-up on the Tacoma Dome website. Single day tickets are $15 and weekend passes are $25. Student discounts are available with a valid student ID at the Tacoma Dome Box Office, and there will be free parking in Tacoma Dome lots, courtesy of the Tacoma Guitar Festival. To stay close to the action, make a whole weekend of it: Clean, safe, affordable and close to the Tacoma Dome, Fife has several affordable hotel and dining options. Travelodge, for instance, has friendly, no-frills service for people attending events at the Tacoma Dome. For some of the best quick-and-delicious eats in the region, the Poodle Dog Restaurant and Café can help you out, and Pick-Quick serves up their famous burgers, fries and shakes.